Saturday October 13, 2018-Interior Coordination Cabinet Secretary, Fred Matiangi has vowed to end road menace in the country. 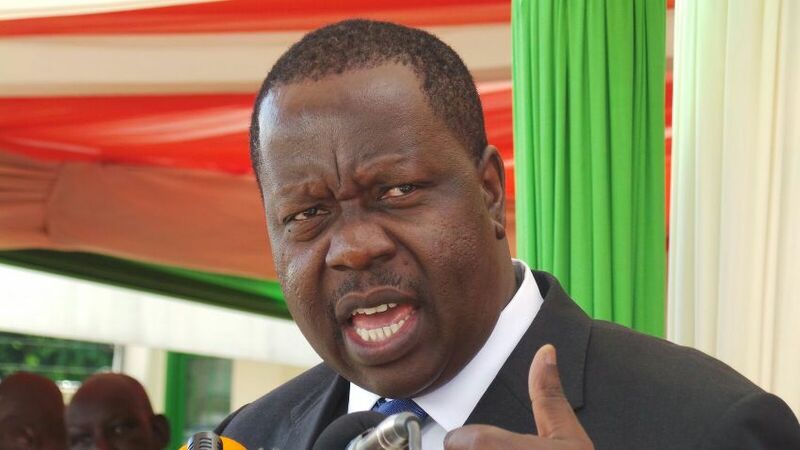 Speaking in Nyamira County on Friday, Matiangi claimed that no more lives should be lost as was in the case of Wednesday accident at Fort Ternan. The Fort Ternan accident killed 56 people and according to preliminary investigations the ill fated bus passed over seven roadblocks manned by police. "We should not be having excuses when we get our people killed on the roads. It is now enough," said Matiangi. The CS further stated that the Interior ministry and that of Transport will work together towards ensuring the roads are safe. "We have to get a new approach to these issues because we have had enough apologies after the loss of our people," the CS said. Among those said to be targeted are traffic police officers who were manning the road from Nairobi to Fort Ternan on that fateful night.